Princess Natural Extensions is one of the best UK and German based Brazilian hair extension specialists introducing the latest hot technique straight from the favelas of Rio and among others the classic Micro Rings hair extension technique. Our professional new hair extensions and hair systems will quickly transform the appearance of fine, lifeless or short hair to new thick, long, and naturally looking hair which is full of body and bounce. As professional hair extensionist, we pride ourselves ensuring that your ideas, suggestions and concerns are incorporated into the final product as well as exploring with your creative designs that you may not have even considered before. Our extensions do not only add length, but can introduce volume, texture, colour (highlights or lowlights) without the harshness of colouring your own Hair. At Princess Natural Extensions our natural hair used is carefully selected from our hair supplier company branch Princess Natural Hair which is known as one of the best address to shop online for all your natural hair needs in the UK, USA and Europe. The hair you thought you could never have can not only be achieved but be made, to look 100% completely natural such that not even your closest friends will be able to tell with Princess Natural Extensions. Smooth, Silky, Healthy hair is something all women dream of. Unfortunately not many can boast of it. Princess Natural Hair offers a solution for all who desire to purchase and use gorgeous looking healthy cuticle 100% natural hair extension. We supply high quality Brazilian, Indian and Argentinian natural human hair made to machine weft, bulk hair and pre tipped hair. Our products are affordable and accessible, making beautiful hair available to everyone. At Princess Natural Hair the hair we provide comes from a unique source. 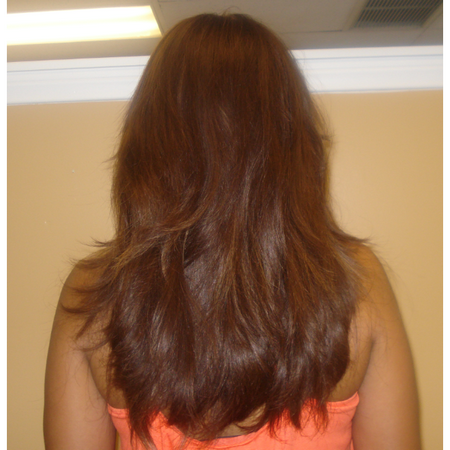 Our donors do not frequent salons thus saving their virgin hair from chemical treatment. 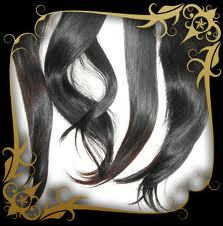 The cuticle layers remain healthy and intact which providing high-grade 100% natural hair extensions. This hair extensions method originates from Brazil and is used in Portugal, Holland, Italy, some African countries and Brazil. The extensions are applied strand by strand with a special thread technique. This creates the versatility of a fusion technique without using potentially harmful substances on your hair such as keratin glue. Bought hair online , it never arrived , tried in vain to contact the lady I was liaising with to no avail , does not respond to messages , emails nether does she answer her phone. And all I was doing was supporting another sister and I get hoodwinked. 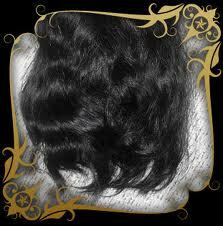 This hair comes in a Natural body wave texture and turns into medium waves when it is wet. The hair can be worn straight by applying straightening iron. The tonging method can also be applied to create spiral curls and when Setting Lotion is applied. The straight hair is normally straight and turns slightly wavy if it is wet. Similar to the body wave texture it can be either curled using the tonging method or spiral curls and by applying Setting Lotion with rollers to create bouncy curls. I have never had any kind of hair extensions or pretty much anything except a haircut done to my hair so I was a little bit nervous about getting extensions. Amanda blew me away. I love her!!! Not only did she make me feel at ease, we had a blast. Fun aside, my hair looks amazing!!! I am totally a believer. I&rsquo;ve been a client of Amanda since December and I&rsquo;m a huge fan of her Brazilian hair extension technique. Its flat, undetectable and easy to manage. Its been almost 10 weeks since my last installation and my coworkers still don&rsquo;t know I wear extensions. I&rsquo;ve had several stylists install my extensions over the years but Amanda is the only one I&rsquo;ll buy a plane ticket for. Thanks Girl!!! !